Here's a little backstory on Elrond. Elrond is the mighty ruler of the mystical town of Rivendell. He is also the brother of Numenos, who was the first king of Numenor. Elrond's skills were tested during the Second Age, when he was called upon to by the Last Alliance of Elves and Men. It was here that he marched with the company into Mordor in the battle of Dagorlad, eventually defeating the dark lord Sauron. Later during the War of the Ring, he would welcome both Bilbo and Frodo Baggins into Rivendell. 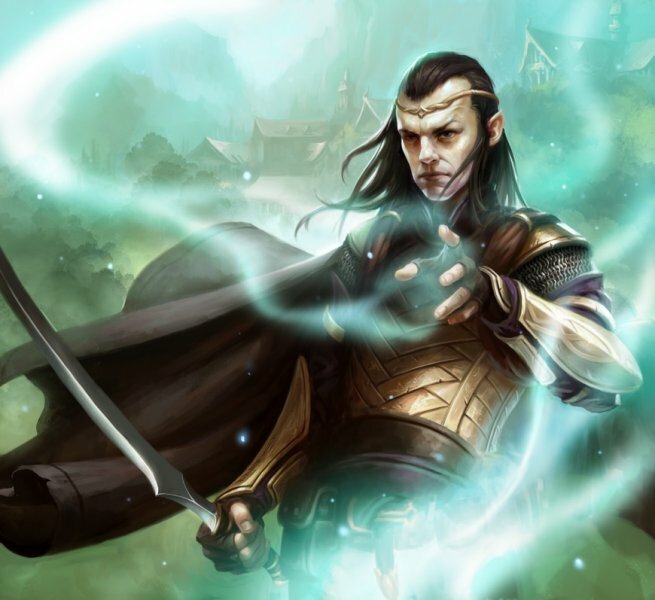 Elrond joins the Guardians of Middle Earth as a member of the Tactician class. He definitely fits in a supportive capacity in this outing. His moves include the following. The "Call of Rivendell" increases ally movement speed, damage, and attack speeds. "Elven Grace" damages enemies and gives allies the ability to use stealth. The ability "Take Refuge" is an area effect spell that both increases health and resistances. Finally, the "Honored Guard" summons an archer to damage and slow enemies. If you want to play as Elrond, then you will need to pay 160 MSP on the XBLA, or the equivalent of $2.00 on the Playstation Network. This probably will not be the last playable character for Guardians of Middle Earth, as they seem to be released fairly often, even after the season pass content has expired. Guardians of Middle Earth is a MOBA style game that supports up to five player cooperative play online. It is available for both the Xbox 360 and the Playstation 3 on the XBLA and Playstation Network, respectively. For a view of the official release trailer of Elrond, take a look below.